Located in Lhaviyani Atoll, Kuredu Island Resort and Spa is a perfect starting point from which to explore Maldives Islands. The property features a wide range of facilities to make your stay a pleasant experience. Free Wi-Fi in all rooms, 24-hour security, convenience store, daily housekeeping, fax machine are there for guest's enjoyment. Television LCD/plasma screen, private pool, internet access – wireless (complimentary), whirlpool bathtub, non smoking rooms can be found in selected guestrooms. The hotel's peaceful atmosphere extends to its recreational facilities which include badminton court, boats, canoe, dart board, watersports equipment rentals. 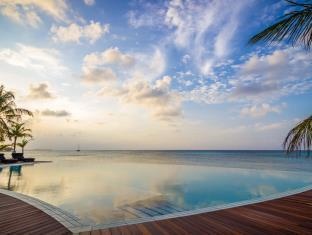 Convenience and comfort makes Kuredu Island Resort and Spa the perfect choice for your stay in Maldives Islands.